Daughter Jeni has just moved from Nantes to Berlin (east side) with husband Stephane and son Jules. 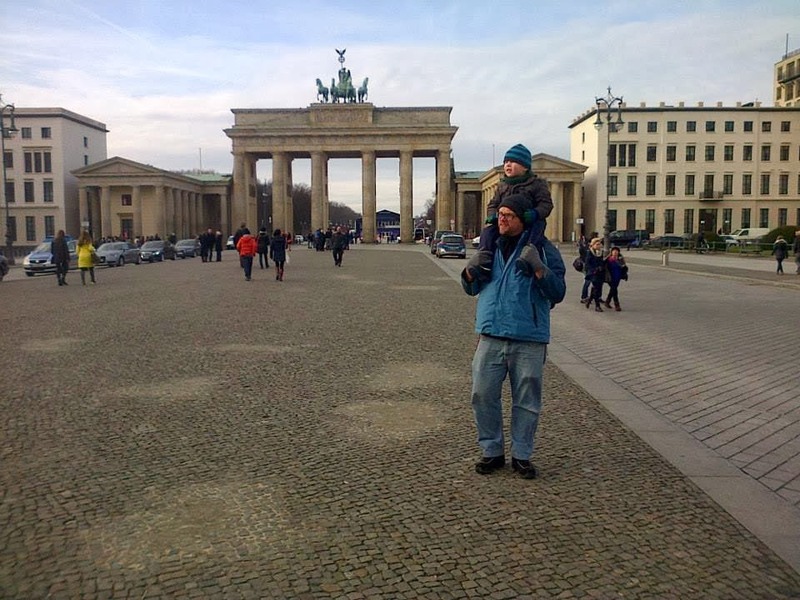 Here's Stephane and Jules at the Brandenburg Gate. Jen observes that police had just kicked out people who dress up as former U.S. and Soviet soldiers for picture with gullible tourists. 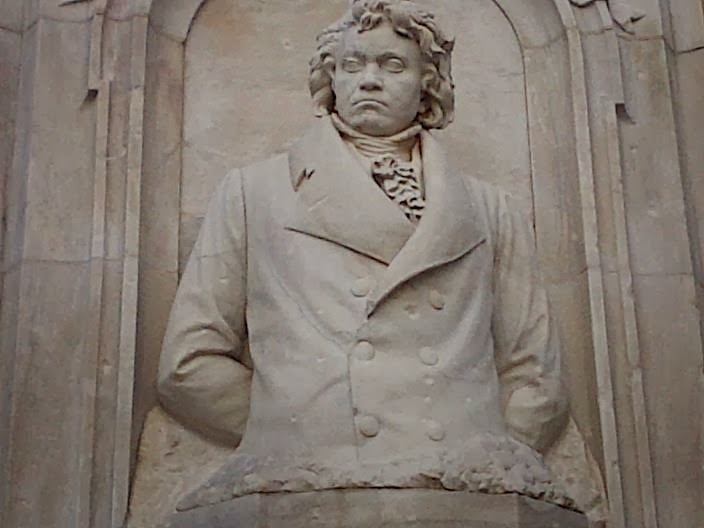 Below: our man Ludwig in famous memorial in park.